According to ayurveda, the disease psoriasis is called Ekkushtha and it is mentioned as a curable kustha rog but with a lot of efforts. We have treatment many patients world wide with a lot of success. Ayurvedic medicine is an ancient healthcare system of India and still being practiced and quiet popular worldwide. 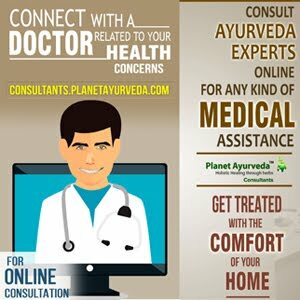 Ayurvedic medicines for psoriasis are available not only in India but also in many parts of the world. Natural Treatment of Psoriasis comprises of clearing of the psoriasis scales, reducing the itching and preventing recurrence. Traditionally many bitter herbs are used to keep the skin clear of the plaque and flakes. Neem is one of the best ayurvedic herbs which is bitter in taste and known for its blood purifying properties. Now a days Neem capsules are available along with other traditional remedies to help the patients of Psoriasis. Neem is not only useful in psoriasis but also useful in conditions like skin disorders, oozing wet eczema, scaly flakes, acne and infections. There is another wonderful combination of 9 herbs known as "Navkarshik Churna blend" . These 9 herbs are described in ancient ayurvedic text called "Chakradutt samhita - written in 11th century) These 9 herbs are most effective blood purifiers useful in clearing skin rashes, psoriasis flakes, reduce itching due to psoriasis. The herbs mixture known as Navkarshik Churna can be used in other blood impurity conditions like uric acid, urea, creatinine and skin eczemas. A popular formulation used in Ayurvedic medicine called Mahamanjisthadi kwath is having similar composition to Navkarshik churna. So Navkarshik Churna can be used instead of Mahamanjisthadi kwath for all skin problems including Psoriasis. It is very specific herbal blend for psoriasis. Kishore Guggul is another ayurvedic remedy for skin rashes, skin inflammation, psoriasis and scaly patches over the skin. It reduces the itching due to psoriasis and other reasons. The Kishore guggul is made up of 3 fruits powder called Triphala with a twine called giloy. These herbs are made into beautiful tablets to clear the skin off the scales, acne and psoriasis patches. It helps to reduce the itching due to psoriasis remarkably.